Superb Summer rental-Perfect location for your Sundance Film Festival hub! Although only 100 yards from the Silver Star Chairlift, you are in a nice quiet area with pleasant mountain views and right on the Municipal Golf Course. A free public transport route to the Resorts and Main St. runs right by the condo. Deer Valley and The Canyons are only minutes away. The condo is spacious, was substantially renovated in 2006, and is fully-equipped. It has two en suite bedrooms with queen beds, a third bedroom with two twin beds, plus a queen sleeper sofa in the Loft. The maximum occupancy is eight. The lounge area has 20' cedar ceilings, is open, spacious, and has a gas fireplace. The open plan kitchen in Alder and Granite, and the third bathroom both adjoin this area. A large outdoor hot tub, 43' LCD TV with high definition digital cable TV and DVD/video, a stereo with a selection of CDs and a washer/dryer are also featured. High speed wireless internet is available throughout the condo. In addition, the condo has 'whole home' humidification, plus reverse osmosis water purification and softening. Park City is well known for it's Skiing and Winter activities. Summer and Fall are quite a pleasant surprise to first time visitors. Summer activities include golf, hiking, biking, boating, and shopping. Summer weather is glorious; cool, dry, and the evenings are long. Fall colors normally occur for a couple of weeks in late September and are varied and vibrant. For the occasional warm day, the condo is equipped with central air-conditioning. Rental rates are set at a 25% discount to the rates charged by commercial management companies for equivalent properties. A 50% deposit is required with all bookings and is non-refundable within 60 days of arrival. Final payment is required 45 days prior to arrival. You may cancel your booking and receive a full refund if less than 50% of the runs are open at Park City Mountain Resort seven days prior to your scheduled arrival. From Mountain Biking straight off our porch, to making snow angels in the yard, this cozy and welcoming condo provides us with so much. Armstrong and Spiro (both very popular trails are right across the street!) We love golfing and skiing, and the nordic cross country track is just 25 yards from the front porch:) With small children, I loved that the silver star lift is only a 3 minutes walk away, or the bus stop is only a minute walk- and the bus takes us straight to the PC base in just a few minutes. It's important to me to make meaningful memories- so the cozy feel around the fireplace, and open living plan make us all feel connected. The kids LOVE being up in the mountains, exploring on their bikes, or going on walks. I was raised skiing and being close to nature, and it's so wonderful to have the chance to give my kids that opportunity too! Summer and Winter the location of this condo is close to perfect. The house was conveniently located on a bus route that went between park city and deer valley. Very convenient to everything in park city and deer valley. We didn't need to use our rental car to get around. There were good restaurants close by in the historic district of park city-also accessible on the same bus. We had a wonderful time. The owner was very responsive to all out needs. I would stay there again. This is the first time I skied utah in 30 years. I will be back!! Great for families and convenient! Great ski trip to Park City! This Payday condo is convenient to the Silver Star loft and a short bus ride to the resort. Great family trip. This condo is in a great location — walkable to the lift with easy access to both the Park City and Canyons sides of the mountain. It is large, comfortable, and well-equipped. Wanda was extremely accommodating and helped us make our stay as convenient as possible. I would definitely stay again. Fantastic location and lovely condo! 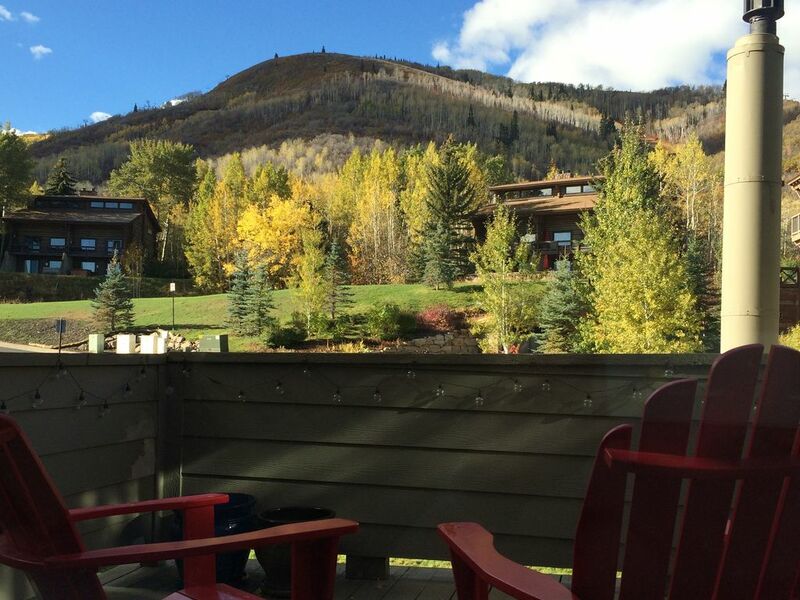 The location of this condo was absolutely perfect, situated between the slopes and the Nordic ski center. The condo is spacious, well appointed, and provides absolutely everything you need. Bonus private jacuzzi was icing on the cake! Definitely coming back and staying here. ParkCity is gorgeous and snow is the best! We had an incredible time, and loved that we could walk just down the street straight onto a lift. Our family really enjoyed the house -- it suited our needs perfectly. Thank you, Wanda! The place was very clean, and had everything we needed. It was also an easy walk to Silver Star lift and bus line as advertised. Wanda was also very helpful with all my questions.